Logistics is defined by three stages. The first which is planning, the second order tracking and maintenance of inventories and the last one, picking and shipping orders and transportation of the goods. The barcode is the central element because it is present in every step of the process. 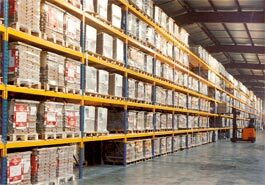 For example, when orders are delivered at the warehouse, they are immediately scanned and listed in stocks. Then, the items are scanned during inventory in order to control the storage of the stocks. And finally, the goods are scanned when they are ready to leave the warehouse for delivery to the customer. 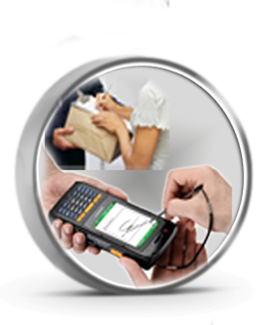 It is obvious that the use of barcode reading tools is recurring and essential to the smooth running of logistics. 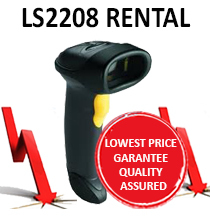 It is therefore necessary to choose the best suited barcode equipment for this area. 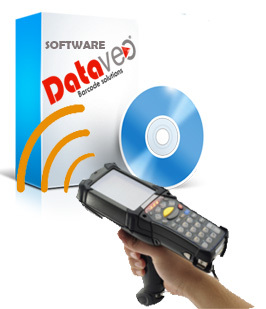 Therefore, DATAVEO offers a variety of barcode terminals, barcode readers, vehicle radio computers and printers. 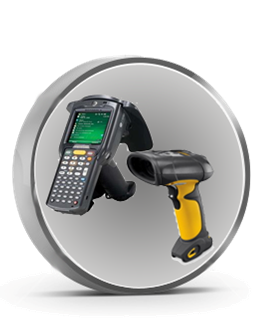 DATAVEO offers barcode terminals that you can facilitate the scanning of products to help you manage your stock and inventory. For this, we recommend robust and moisture resistant devices. Indeed, we know that the warehouses temperatures can be quite burdensome for computer equipment. Thus, the Motorola Symbol-MC3000, MC3100-Symbol Motorola, Psion Teklogix-Omnii XT15 and Omnii XT10-Psion Teklogix perfectly suit as they can withstand temperatures ranging from -20 ° C to 50 ° C.
Given the height of the racks where the devices are stored, we recommend devices with a handle and possibly a rotating head as the Motorola Symbol-MC3000 Gun, Symbol Motorola-MC3100 Gun or Psion Teklogix-NEO. With these two options, you can scan items with one hand. Some manufacturers such as Motorola Symbol offer devices that can work with both hands free. This is the case of the Motorola-Symbol WT4000, WT4090-Symbol Motorola and HX2-LXE. Then we recommend a devise that is equipped with a Bluetooth connection. In this way, the information will instantaneously be transmitted to your computer and you will not need to be manually unloaded. For this reason, the Motorola Symbol-MC3090, Symbol Motorola-MC3190 and MC9090-Motorola Symbol are ideal. 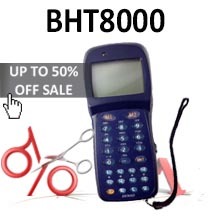 You can also equip your barcode reader with plastic protections. Thus, if the device is dropped, it will not be damaged. To have a thorough knowledge of your inventory and better manage the supply of goods, DATAVEO offers specialized professional printers for the printing of barcodes and receipts. For this matter, we recommend industrial printers that are much more robust and resistant to low temperatures than semi-industrial printers that are only suited for in store printing. We remind you that if you have a fairly large warehouse, installing a wireless printer will be beneficial because it will be connected to the network and you will not need to travel to each printer. Thus, printers Intermec and Zebra brands are perfectly suited for use in this industry field. 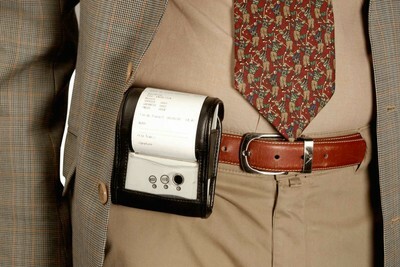 You are always on the go and you need to regularly print receipts or barcode labels? In this case, immediately choose a laptop or belt printer. These small industrial printers will follow you in all types of environments. 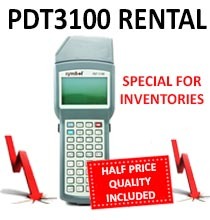 Do you want to save time and increase the productivity in your warehouse? 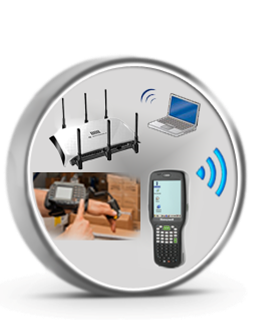 DATAVEO offers the deployment of wifi frequency network in your warehouse. With wireless terminals, the scanned information will be transferred in real time to your computer. So you will not need to move to your PC and unload the data. 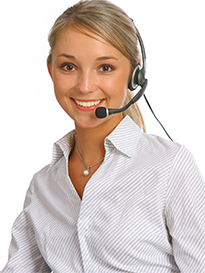 The DATAVEO technicians perform an audit of your site, offer the best solution and perform a demonstration. If you wish, our developers can also create you a custom software to manage your warehouse, inventory and even to create barcode labels. Software inventory management is highly demanded by large companies because it helps ensure product traceability including the monitoring, preparing and sending orders. 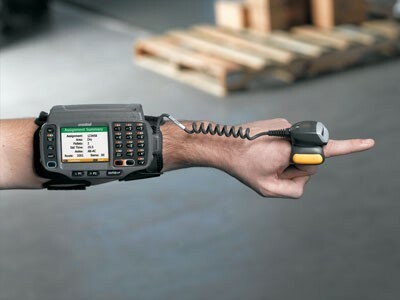 You never used barcode equipment before? 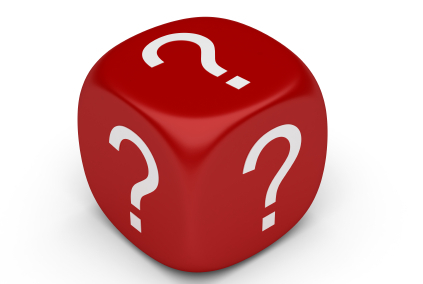 Do you have questions about the kind of barcode equipment, software or printer you need? Do not hesitate to contact us.